Come and see Jason Mathias at the above upcoming events! Jason Mathias can hand sign or personalize any piece of art or product in person for you and he's a cool guy to talk to and has lots of great information and stories to tell! 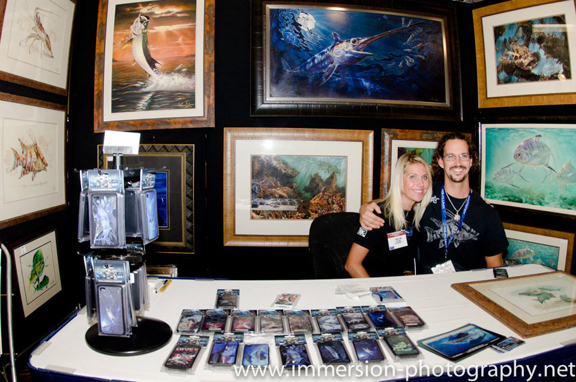 Above: Fort Lauderdale Boat Show 2013. 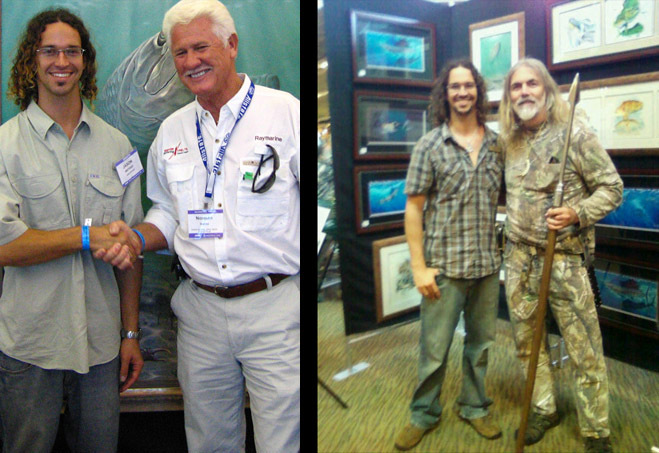 Above: Jason Mathias and Captain Norm Isaacs at Miami Boat Show. Right: Jason Mathias and Manny Puig at Bass Pro Shops event. 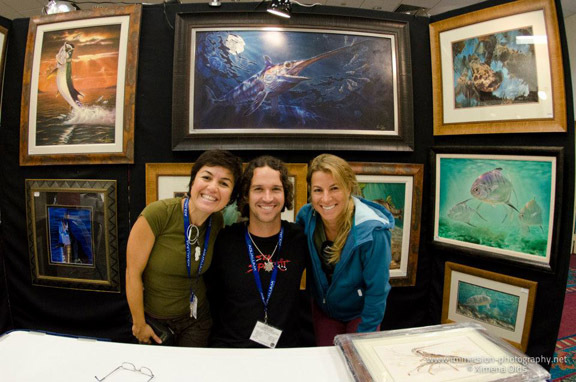 Above: Jason Mathias Art with pro woman paddle boarder. 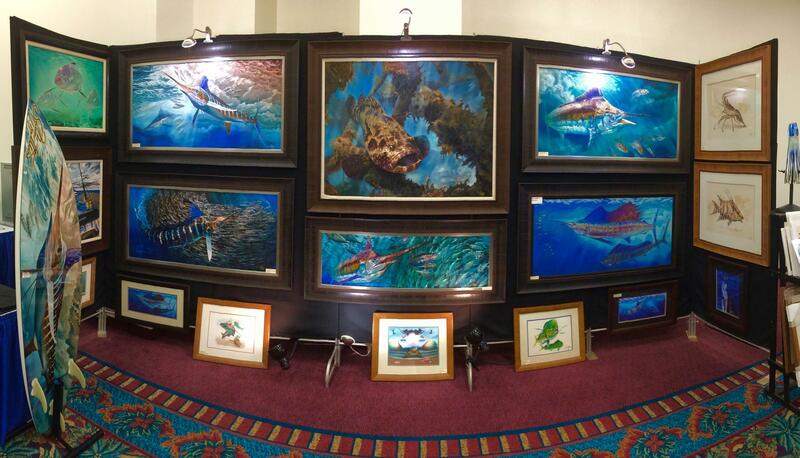 Above: Jason Mathias Art at the Fort Lauderdale Boat Show 2014. 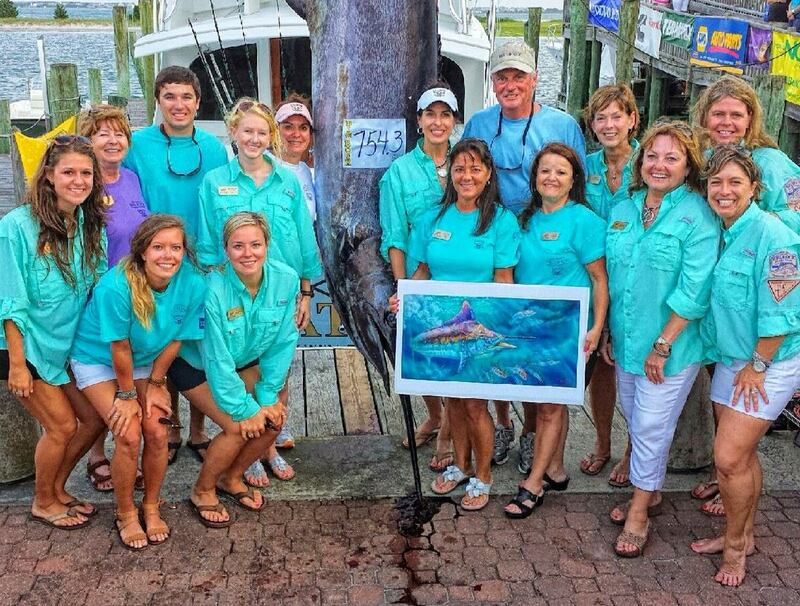 Above: Jason Mathias Art at The BigRock Blue Marlin Tournament with the winning fish 2014.